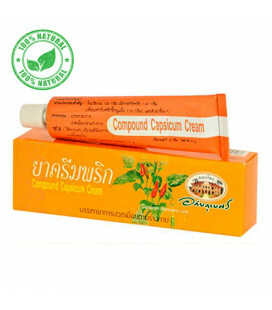 Longan cream - an indispensable tool for the elderly, suffering from pain in the legs and joints. 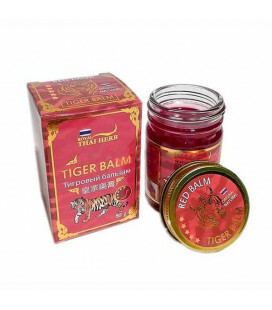 Has a very effective analgesic, anti-inflammatory, and anti-edematous effect. 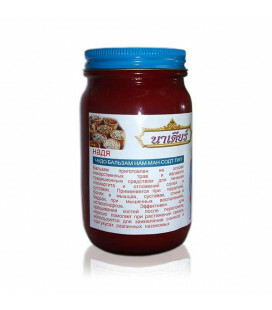 With external application, the extract from the longan bones together with other medicinal plants and herbs contained in this unique cream can alleviate the sufferings of patients with a vertebral hernia, the displacement of vertebral discs, the jamming of the spinal nerve, osteochondrosis, arthritis, arthrosis, rheumatism, articular and intramuscular pain, etc. The substance contained in longing bones can suppress the decomposition of hyaluronic acid and glycosaminoglycans in the joints, which contributes to slowing the destruction of articular cartilage, and also inhibits protease enzymes, which effectively protects cartilage and muscle tissue from destruction as a result of physical exertion. As a result, your muscles and joints work more efficiently and stay healthy for a long time. In the composition of extract from the bones of Thai fruit Longan, which have high regenerative abilities and anti-inflammatory effect. In the composition of the ointment for the joints is also the oil of cloves and eucalyptus and rosemary. All these oils effectively complement each other and help to inhibit enzymes that prevent the disintegration of cartilaginous tissue and stimulate the growth of a new one. The ointment is very economical to use. It is easily spread over the skin and quickly absorbed, penetrating into the joint. The cream is not heating. Therefore, can safely apply to those who are not allowed to heat the skin. Apply to the skin and massage until completely absorbed into the skin. Apply 3-4 times a day to the affected joint and the place of injury. my mom loves this cream, he helps her to heal the aching legs. her joints hurt less. a good product.